TIJUANA (Oct. 12, 2016)- They got on a bus at 7 a.m. endured a three-hour drive South from Carson, Calif. across the border for what would be a long day in a different country. The long day and travel meant an unorthodox day for a pair of friendlies for a couple Los Angeles Galaxy youth teams. But the trip entailed more than exhibition matches between Under-17 and Under-15 teams Wednesday at Estadio Caliente. Regional bragging rights were at stake along with a sense of national pride between the clubs from Mexico’s LIGA MX and Major League Soccer in the United States. The sense of pride was more than evident on the pitch while both clubs handled each friendly as they were official matches. Coaches screamed instruction with passion the same as players displayed full effort on every play. 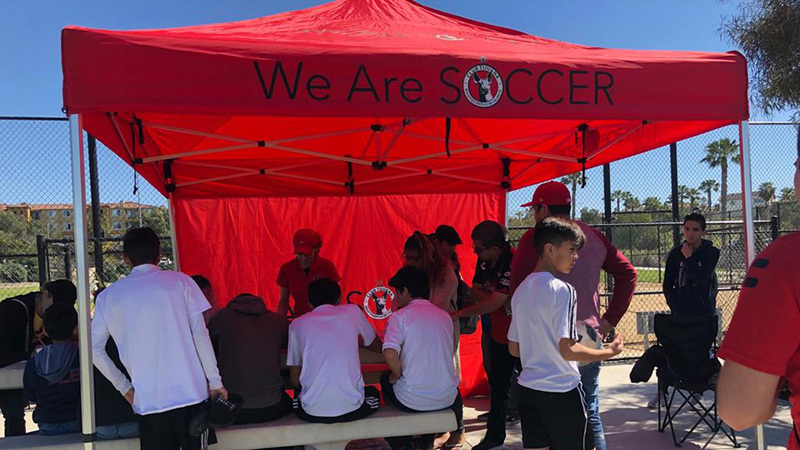 Both teams took advantage of the opportunity and played with focused strategy and relentless physical play in the pair of “friendlies.” Club Tijuana beat the Galaxy 3-1 in the Under-17 match, the first of the afternoon. Ernesto Espinoza (32nd minute), Antonio Nava (39th) and Kevin Pizeno (54th) scored by the Xoloitzcuintles coached by Gilberto Mora while Eick Gallianar (77th) scored for the visitors. 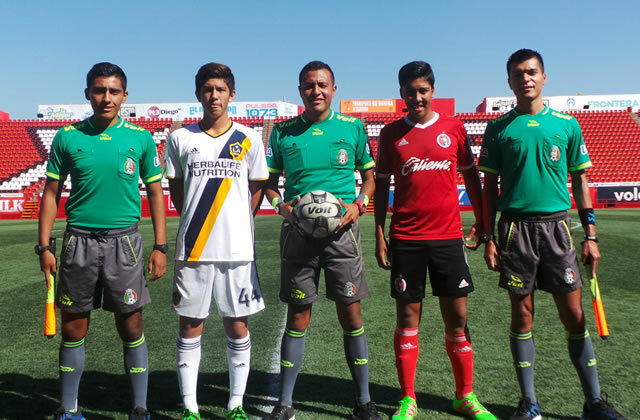 The match featured players from both sides that played in the LIGA MX Under-15 International tournament final at Estadio Azteca in Mexico City in August. Club Tijuana clinched that title with a 4-2 win at the legendary soccer stadium. The Galaxy came into Tijuana looking for some redemption. 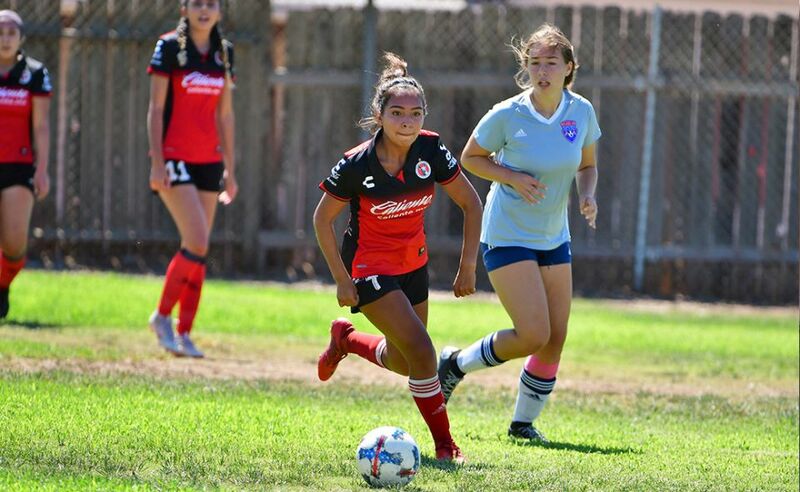 It didn’t get the win in the Under-17 category but left Tijuana with a 2-1 win in the Under-15 exhibition, another match that could easily been mistaken for an official game. The MLS academy team took a second-minute 1-0 lead with a goal by Ulysses Llanez, setting a quick tone for the game. The Xoloitzcuintles pressured but could not score in the first half. Misael Becerra extended the visitor’s lead to 2-0 in the 57th minute. Johan Cabrera scored for Club Tijuana in the 63rd minute but it was not enough. The Galaxy endured a late flurry of shots by the Xoloitzcuintles and held on for the win. It was a win Galaxy coaches will cherish after a one-of-a-kind experience for the youth clubs. 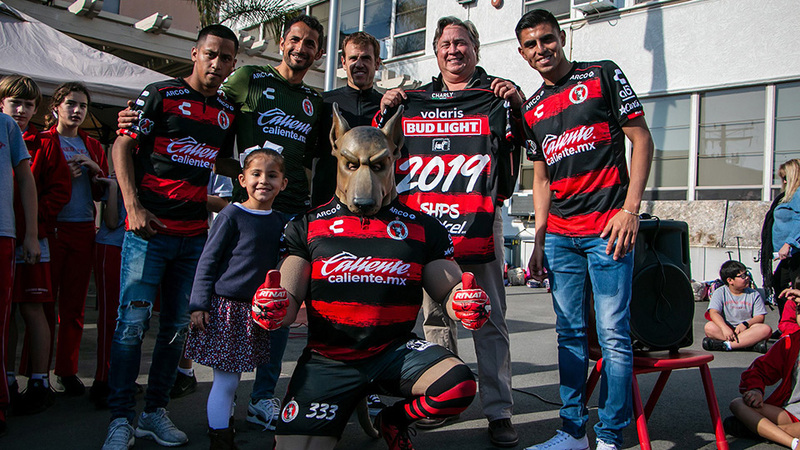 And Club Tijuana wants to move forward binging more teams to help continue with an international feel at Estadio Caliente.